The implementation of the K to 12 program has created over 40,000 vacancies in the Department of Education (DepEd) in schools across the country, something the bureau has to fulfill soon, reports GMA News. To fill the vacancies for teaching as well as non-teaching positions, the government has decided to tap on the workforce currently serving households in Hong Kong and the rest of the world, urging many of those who are serving in households to come back to the country and teach in the schools, instead. Labor chief Rosalinda Baldoz announced in a forum before the Philippine Consulate General that OFWs working in households in Hong Kong and other countries will be given priority, mostly because the government wants to recognize their skills. She believes these people have gained higher skills from serving in the foreign country for so long; skills they can impart with the students back in the Philippines. Baldoz also revealed that Education Secretary Armin Luistro approved her suggestions for giving priority to these OFWs. With so many vacancies, many OFWs can find a job back home so they can be closer to their families instead of serving households in other parts of the world. She also added how those who are working in households have less favorable benefits, wages, and conditions than those working in the corporate world and business establishments; thus, the government wishes to help them find jobs back in the country. For the OFWs to qualify for the jobs, however, they must pass the requirements set by the DepEd, including completing a degree in education as well as passing the Licensure Examination for Teachers (LET) by the PRC (Professional Regulatory Commission). Recent passers are also given priority over others while those who have not worked in the teaching field for more than 5 years must finish 21 units of education units again before they qualify. Baldoz said DepEd will release the complete guidelines and requirements soon, but encourages OFWs to already consider their options back in the country. 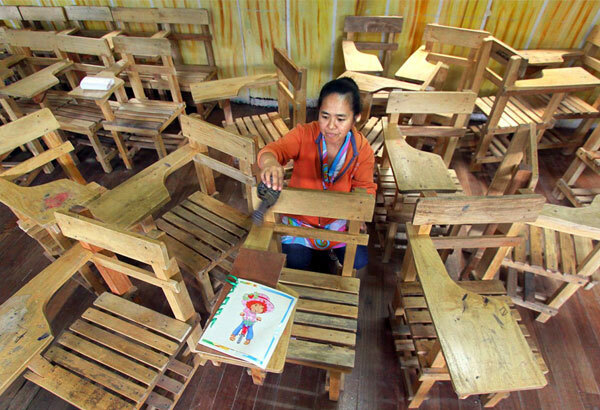 Teacher 1 positions have a basic salary of P18,549. Additional “hardship allowances” are provided for those who are assigned to far-flung, remote areas. Right now, there are already 1,300 vacancies (Teacher 1) that need to be fulfilled before the year ends. The rest of the 40,000 vacancies have to be fulfilled in 2015 and completely filled up by 2016.